Both drivers made clean starts with Sainz passing Hulkenberg into turn one then holding that position in the early running. 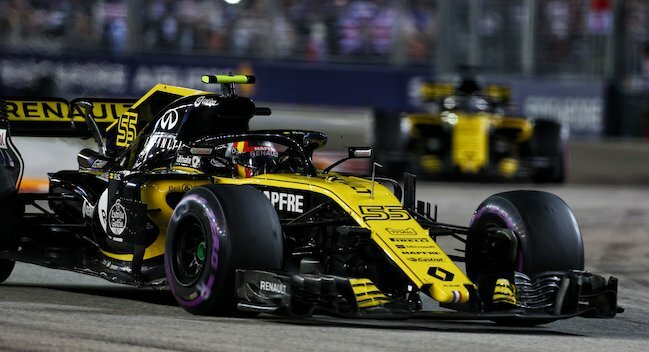 Sainz enjoyed a quiet race from there, running a long first stint on the Ultrasoft tyre, before comfortably finishing in eighth for the second time in as many races. After starting on the Hypersoft tyre, Hulkenberg pitted early and ran long on the Ultrasofts, driving a smart and calculated race to the flag for his first points finish since the German Grand Prix. “I’m not quite happy with the result, as I know it could have been better", said Hulkenberg. Five points for Renault means the team extend their lead in fourth place in the Constructors’ Championship to 15 points over fifth place. “I’m very satisfied with the result today", said Sainz.